You must try these 9 sheet masks... They're affordable too! This Organic Cotton Cellulose Sheet Mask deeply hydrates and visibly revitalizes dehydrated skin. 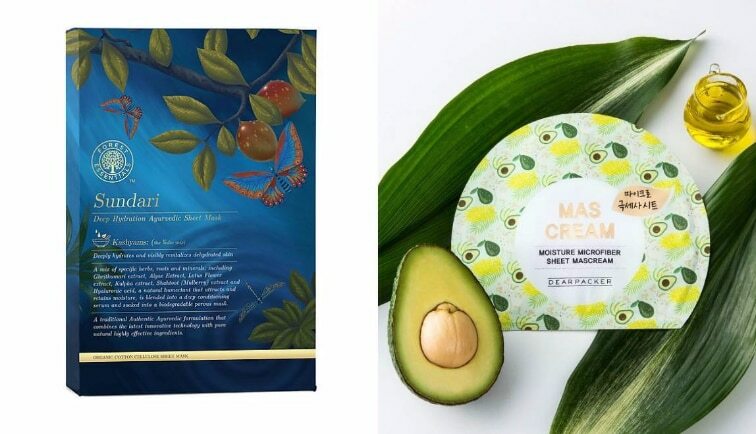 Formulated with avocado extracts, this mask sheet delivers needed nutrients deep into the skin giving you smooth, supple and healthy skin. A 3-step sheet that contains volcanic scoria and other natural ingredients to remove blackheads and wash away pore-clogging impurities . This hydrating mask sheet protects skin from sun exposure, dust and impurities while leaving it with an instant healthy glow. This bamboo charcoal-infused sheet mask activates an oxygenating and tingling 3D bubbling experience that instantly invigorates, detoxifies, and removes face makeup. It locks in moisture all day for healthy looking skin. The rich moisture in the skin gives special care to your skin and treats it while you are sleeping. The soft sheet mask provides your face with sufficient skin nourishing properties without any stickiness. This sheet mask has great anti-wrinkle benefits as well. A complete-solution mask sheet that nourishes, moisturizes, improves elasticity, has anti-wrinkle properties. This mask helps prevent premature aging, generates an abundance of collagen and helps skin get rid of toxins.